You probably know by now the dangers of excessive sun exposure. It increases your risk of cancer while also damaging your skin, setting you up for wrinkles and dark spots down the road. So why do people still spend excessive amounts of time in the sun? Many think that having a suntan makes them look more attractive. And they're willing to trade attractiveness now for skin issues later. But you don't have to do that! 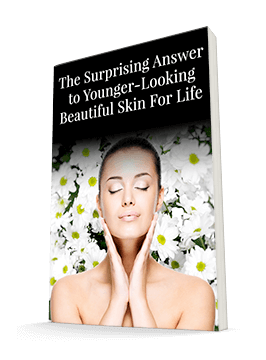 You can achieve a skin color that's healthy and attractive without the sun — and this method will actually continue to make your skin beautiful as you age. There are two different ways you can color your skin. One way, of course, is to expose it to the sun or to tanning beds. That method is called melanisation. But there's another method, called carotenoid coloration. And most people consistently find that skin colored with carotenoid coloration is more attractive than skin colored by the sun. Researchers recently showed this to be true. In a new study, participants saw 27 faces. Some of the pictures were tinted as though they had gone through melanisation and others as though they'd been through carotenoid coloration. The majority of the participants found the carotenoid group more attractive. In another study, participants ranked 24 high carotenoid and high melanin faces based on attractiveness. There was a 75.9% preference for carotenoid coloration. So how do you achieve this look yourself? You don't have to go to a salon or buy an expensive product. You just have to eat five servings of fruits and vegetables a day! That's all it takes to have beautiful, healthy skin. Brightly colored fruits and vegetables contain yellow pigments that are great for the skin. When you're healthy, that shows up in your skin, and people are unconsciously drawn to you. Having healthy, glowing skin is great. So do your skin a favor. Eat lots of fruits and vegetables. What's more, consistent dietary carotenoids may protect you against harmful UV radiation. So you'll have great looking skin that stays that way even if you happen to spend a little too much time in the sun.